It’s a shockingly big number: 53% of job applications contain falsifications according to the Society of Human Resource Managers (SHRM). This seems to indicate job applicants are trying very hard to stand out, and many of them embellish their story to do it. These falsifications include all kinds of misleading statements, phony degrees or certificates, altered employment dates, inflated salary claims and job descriptions, and falsified references, among others. No employer really wants to hire people who lie on their resume or application, but given the frequency of it, it’s very hard to avoid. Unfortunately, these liars may be exhibiting character traits that will be expressed in dysfunctional or even fraudulent behaviors on the job. The U.S. Department of Justice reports that 18% of all violent crimes happen in the workplace, and the Department of Commerce identifies employee theft as a cause in 33% of all business failures. At the very least, the liars will likely underperform on the job, eventually leading to the expense of recruiting a replacement. 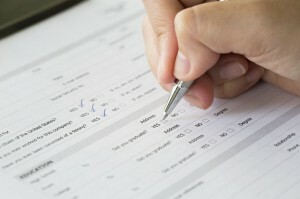 Employers have two main tactics to use in finding the lies in resumes and applications. The first is to use background screening aggressively and effectively as part of your hiring due diligence. This tactic provides the fact checking and objective history (context) of the applicant’s claims, forming a basis for judgment that is compliant with employment law. Your background screening process should be designed for the job in question, with more or fewer components depending on how critical the position is for your organization. It is well established that past behavior predicts future performance, so employers need the insights a good background check can provide about an applicant’s character. And no applicant has an incentive to simply state the unflattering or worse on a resume. Employers have to do the research. The second tactic is to compare what the applicant claims with external measures of the same factors. Pamela Babcock, in a paper written for SHRM, cautions that this should be an objective process rather than relying on “body language” or other intuitive judgments to identify the culprits. Imaginative interview techniques that ask the applicant to provide context and show understanding that would naturally accompany their claims can help reveal the liars. Look for inconsistencies or contradictions between what they say in person and what you find on their resume. The process of deep integrity interviewing is perfectly complemented by a thorough background check. Objective background information provides the first line of comparison that is independent of the applicant’s possibly self-serving claims. To detect dishonesty, you have to have known facts and observed actions that illuminate where the falsifications are on the resume or application. 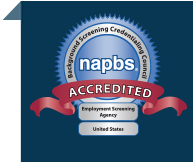 Employers have tactics that can help do this, through the use of a background screening firm.